Cupar Crossgate. Spent the afternoon in the centre of Cupar, Fife, Scotland. The River Eden flows along side Duffus Park, Cupar, Fife, Scotland. 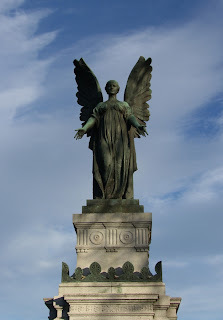 Cupar War Memorial was erected by public subscription and was unveiled on the 29 th April 1922 by Field Marshal Earl Haig, James Stark, Provost of Cupar. Tour Cupar, Fife, Scotland, on an Ancestry Tour of Scotland. 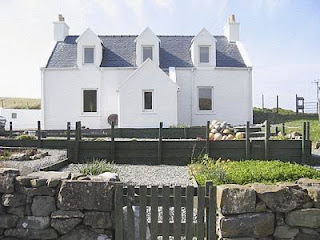 Best Scottish Tours, Best Scottish Food, Best Scottish Hotels, Small Group Tours of Scotland.
" Donald where’s your troosers." And it was slippery in the hall. Fur I hadnae on ma' troosers. And I had some fun in the underground. Saying "Donald where's your troosers". To wear the kilt is my delight. It isna wrong, I know its right. The islanders would get a fright. If they saw me in the troosers. They'd like to wed me every wan. Just let them catch me if they can. You cannae tak’ the breeks aff a Hielan’ man. And I don't wear the troosers. Not a bad today in Scotland. Quite warm for this time of year, with some sunny spells. Took a stroll today along Tay Street in the City of Perth, Scotland. The River Tay runs through Perth, and Tay Street provides some excellent views. 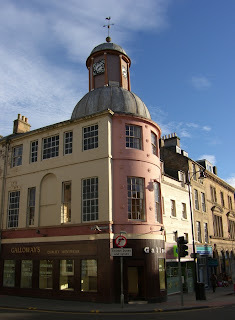 Perth Tay Street Scotland Photographs. "Tell your fortune for Five Pounds, Scotsman !" "If you were a real fortune teller, you would know that I wouldn't waste Five Pounds on that." The rivalries of the Highland clans of Scotland are notorious and in ancient times led to atrocities, massacres and blood feuds. A certain Highlandman, punctilious in prayer, announced his self-appointment as God's deputy in these terms. "Oh Lord, I pray thee, look after my friends. I'll look after my enemies myself !" Midnight here in Scotland. High winds and heavy rain. There is a storm coming, but never mind; the fire is burning brightly. A rather dull October day in Scotland. 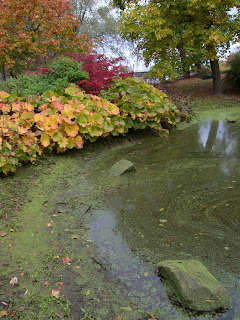 The view above was taken in a small park in Perth, Scotland. Young Flora Simple of Edinburgh was visiting a small Scottish croft in the North West Highlands of Scotland. She had praised her hostess for her butter and cream, and had been told that these were easy to provide as they kept a cow. She praised the ham as well, and Flora was told that, of course they kept a pig. flora began to see the light, so when clover honey appeared at tea time she showed how she had gained knowledge of the economics of crofting by pointing to the honey, and remarking, "I see you keep a bee." Best Scottish Jokes. This tale concerns the Scottish poet, Thomas Campbell. Campbell, when a young man, was on a walking tour in the South of Scotland and met a very stormy spell of weather in the midst of the Lowther Hills. He made for the nearest inn and, after a hearty meal of ham and eggs, he got himself to bed. It was a wild wet night, but the inn was dark and cosy, and the young Scottish poet lay musing upon his latest poem. Suddenly there came a gentle tap at the door and the dainty little serving lass, shading a candle with her hand, slipped quietly into the room. She crept up to the bedside table and smiling shyly, whispered, "Sir, could take another into your bed ?" "With all my heart," breathed the young poet. "I thank you, sir," said the young lass, "for Johnny MacGrizzle, the Moffat cattleman, has just arrived, soaked to the skin." And that is supposed to have suggested to Campbell the title of his next volume, The Pleasure of Hope. The Book of Pleasures: Containing the Pleasures of Hope, by Thomas Campbell; the Pleasures of Memory, by Samuel Rogers; and the Pleasures of Imagination, by Mark Akenside. .
Jean called into her doctor's office in Dunoon after undergoing a physical examination and an array of tests. Her doctor said, "I have some very bad news for you, Jean. I am sorry to tell you that you have just six months to live." "What can I do ?" cried Jean. Her doctor replied at once, "Marry an Englishman." "Will that make my life longer ?" Jean asked. "No," said her doctor, "but it will seem longer." A bright and beautiful Autumn afternoon in Scotland. Foggy and cold this Autumn morning in Scotland. 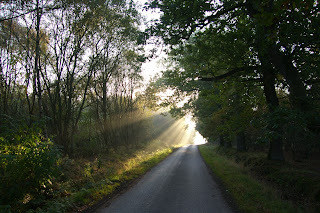 By 10am the fog began to lift and shafts of sunlight appeared. "No More Scottish Whisky !" The Moness Burn, passes through pleasant woodland on the walk at the Birks of Aberfeldy, Perthshire, Scotland. Birks of Aberfeldy Photographs. Took this photograph on Saturday at the Kinnaird Estate, an elegant eighteenth century Scottish Country House, now a Hotel, set in a nine thousand acre country estate, just seven miles from Dunkeld train station. Enjoy countryside sporting activities including fishing on the beautiful River Tay. Best Scottish Country House Hotels. Traditional Oatcakes of Scotland are made on a hot girdle, which Scotswomen, in days gone by, used to use more than their frying pan. To make twenty-four oatcakes you will need one pound of fine oatmeal, one tablespoon of melted dripping, lard or bacon fat, one teaspoon of bicarbonate of soda, one half teaspoon of salt, and luke-warm water to mix. Add baking powder, salt and fat to the oatmeal. Mix with water to a fairly stiff dough. Roll out in oatmeal to about one eight of an inch thick. Cut in rounds or triangles and cook on both sides on a fairly hot girdle or pan. Dry out thoroughly in a hot oven until the edges curl. Oatcakes are spread with butter and eaten with Scottish cheeses. Best Scottish Cooking. Rent A Cottage In Scotland. 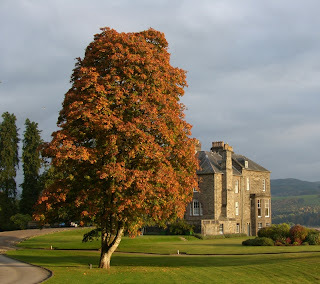 After a wet Summer, and now, frosty nights, the Autumn colours are appearing in Scotland. 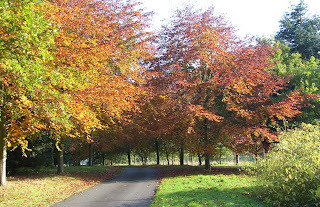 The photo above was taken at Stormont Road Park in Scone, Perthshire, Scotland. 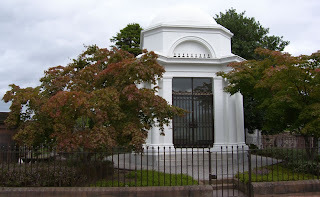 The David Douglas Memorial in Scone, Perthshire, Scotland. The Herring Drifter, Reaper, returning to Anstruther Harbour on the East Coast of Fife, Scotland. Orkney Bringing Home The Peat. 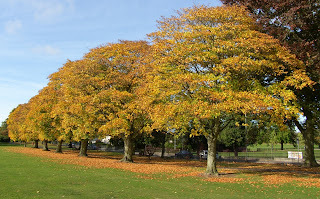 The second week in October and the leaves are changing colour at Blairgowrie Wellmeadow, Perthshire, Scotland. 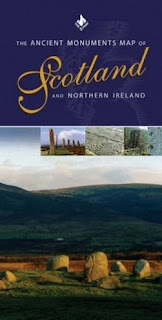 Ancient Monuments Map of Scotland. A well preserved Scotsman ! Bagpipers marching through Pitlochry, Perthshire, Scotland. Tour Scotland Photographs and Videos. Anstruther, Fife, Scotland, is worth visiting in September, or any other month of the year. Tour Scotland Photographs and Videos. Crail harbour, in the East Neuk of Fife, on a beautiful day in September. Tour Scotland Photographs and Videos. The fishing village of Pittenweem, on the East Coast of Scotland. Tour Scotland Photographs and Videos. Dumfries, Scotland, was founded as a Royal Burgh in 1186 on the east side of the lowest crossing point of the River Nith. Tour Scotland Photographs and Videos. Scottish sheep on the road in Glen Quaich, Perthshire, Scotland. Tour Scotland Photographs and Videos. Oban, Scotland, is an important ferry port, being the main terminal for Caledonian MacBrayne. Oban is often known as the Gateway to the Scottish Isles, with ferries sailing to the islands of Lismore, Colonsay, Islay, Coll, Tiree, Craignure on Mull, and to Castlebay in Barra and Lochboisdale in South Uist. Tour Scotland Photographs and Videos. 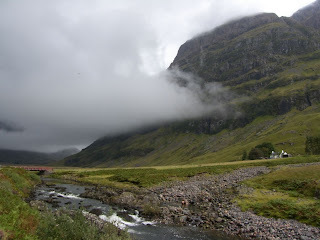 The River Coe is a small river located in Glencoe, Scotland. It flows out of Loch Achtriochtan, through Glencoe and into Loch Leven. Tour Scotland Photographs and Videos. A Blair Atholl piper at Blair Castle, Perthshire, Scotland. Tour Scotland Photographs and Videos. Steamship Sir Walter Scott at Trossachs Pier, Loch Katrine, Scotland, with the wee boat Ellen's Isle, returning from a cruise around the famous Scottish loch. Tour Scotland Photographs and Videos. The Black Watch Regimental Museum is housed in historic Balhousie Castle set in its own grounds beside the North Inch in Perth. Entry to the Museum is free, and is well worth a visit. Tour Scotland Photographs and Videos. A wet September afternoon at Castle Campbell, Dollar, Scotland. Tour Scotland Photographs and Videos. Glasgow Cathedral, Scotland, is the easterly focal point from which the city developed, dominates the Medieval City, a mixture of Medieval, Georgian and Victorian architecture. The cathedral precinct is always worth a visit on any tour of Scotland. Tour Scotland Photographs and Videos. Kincraig, Scotland, is the place to go to see incredible demonstrations of the skills of a Scottish shepherd as his team of dogs round up almost anything, from sheep to even ducks and geese. Tour Scotland Photographs and Videos. At Kincraig, Scotland, just six miles southwest of Aviemore on the road towards Kingussie, a Scottish shepherd demonstrates how to herd a flock of sheep with up to eight dogs. Tour Scotland Photographs and Videos. His Majesty's Frigate Unicorn, located in Dundee, Scotland, was built for the Royal Navy in Chatham dockyard in 1824. Fast and powerful, this warship was one of the most successful and charismatic ship designs of the age. Tour Scotland Photographs and Videos. Inverness is located where the River Ness enters the Moray Firth in Scotland. Inverness Castle sits on a cliff overlooking the River Ness. The red sandstone building seen on this video was built in 1836 by architect William Burn. It is built on the site of an eleventh century defensive structure. Today, it houses Inverness Sheriff Court. There has been a castle at this site for many centuries. Tour Scotland Photographs and Videos. Loch Ness is a large, deep freshwater loch in the Highlands of Scotland which extends twenty three miles southwest of Inverness to Fort Augustus. Loch Ness is best known for the alleged sightings of the legendary Loch Ness Monster. Didn't see Nessie today, just two beautiful Scottish Swans. Tour Scotland Photographs and Videos. The Caledonian Canal connecting Fort William to Inverness, Scotland, passes through Fort Augustus in a dramatic series of locks stepping down to Loch Ness. Tour Scotland Photographs and Videos. The Reaper Herring Drifter entering the inner harbour at Anstruther, Fife, Scotland. The Reaper is a two two masted fifie herring drifter built in 1902. Tour Scotland Photographs and Videos. A local inshore fishing and creel boat returning to St Andrews Harbour, Fife, Scotland. The earliest references to the harbour date to the fourteenth century, but the estuary of the Kinness Burn was probably used before that as a natural harbour in a rather treacherous bay. Tour Scotland Photographs and Videos. A bright September morning by the River Tay just outside of Dunkeld, Perthshire, Scotland. Tour Scotland Photographs and Videos. Orange Sheep in the Highlands of Scotland. The orange yellow colouring is generally favoured by Blackface breeders and is used when sheep are presented for show or sale. Tour Scotland Photographs and Videos. 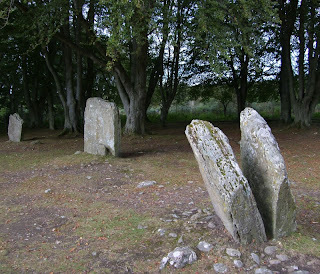 The Clava Cairns on a tour of Scotland. This site, near Culloden Battlefield, is one of the best preserved Bronze Age burial sites in Scotland. Tour Scotland Photographs and Videos. Culloden Battlefield, near Inverness, Scotland. On the sixteenth of April 1746, this bleak moor saw the end of the Jacobite Rising of 1745 when the army of Prince Charles Edward Stuart was defeated by a government army under the Duke of Cumberland. Tour Scotland Photographs and Videos. The falls on the River Braan at the Hermitage, Dunkeld, Perthshire, Scotland. Tour Scotland Photographs and Videos. South Loch Ness from Fort Augustus, Scotland. A beautiful day, but no sign of Nessie on this tour of Scotland. Tour Scotland Photographs and Videos. Tour Scotland October. Photographs from a Scottish Tour which included Abbot House Dunfermline, Aberlemno, Abernethy, Alyth, Anstruther, Arbroath, Black Watch Museum, Blair Castle, Broughty Ferry, Caledonian Canal, Castle Campbell, Castle Stalker, Clunie Castle, Crail Harbour, Crieff, Doune Castle, Dumfries, Dunfermline Abbey, Dunkeld, Dunkeld Cathedral, Dunkeld Hermitage, Dunning, Dupplin Cross, Eassie, Edinburgh, Edinburgh Castle, Edradour Distillery, Glamis Castle, Glasgow Cathedral, Glasgow St Mungo Museum, Glencoe, Glendevon, Highland Scotland, Highland Cows, Highland Perthshire, Innerpeffray Library, Inverness, Kirriemuir, Loch Clunie, Loch Katrine, Loch Ness, North Queensferry, Oban, Perthshire, Pitlochry, River Coe, River Forth, River Ness, River Tay, Rumbling Bridge, Scottish Liqueur Centre, Scottish Sheep, Scottish Shepherd, Sheepdog Demonstration, St Andrews, St Monans, Stirling Castle, The Frigate Unicorn and more. Tour Dumfries, Scotland. 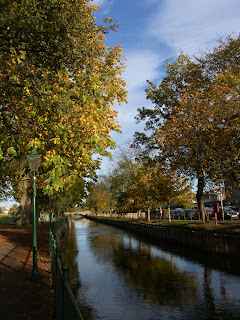 A few photographs from a day tour of Dumfries in the Borders of Scotland. 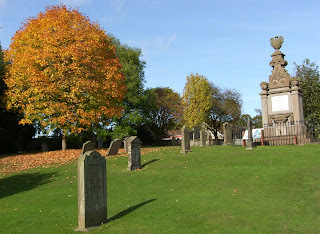 Visited Dumfries Bridge, The Robert Burns Mausoleum, St Michael's Churchyard and Graveyard. Tour The Trossachs Of Scotland. 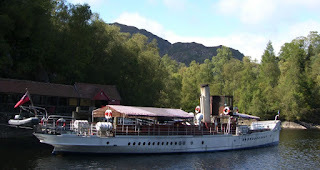 A few photographs from a recent day tour of The Trossachs, including Aberfoyle, Loch Katrine, Steamship Sir Walter Scott. Just finished an Outlander Tour of Scotland. This short tour included many other sites of interest to this particular small group. Outlander Tour of Scotland Photographs. Small Group Tours of Scotland.